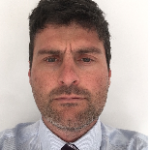 Dan Hutley is a Senior Surveyor specialising in the Physical Environment for AACI. Mr Hutley is highly motivated Health and Safety Professional with 16 year’s experience in the leadership and management of Health, Safety, Security and Fire. As well as being a Senior Surveyor for ACCI in Europe, he is currently the Regional Head of Safety for NHS Property Services, a UK Government Organisation that owns and provides FM services to approximately 4000 healthcare properties. Mr Hutley is a Graduate member of Institute of Occupational Safety and Health (IOSH) and has a wide range of experience at implementing ISO standards, 9001, 14001 and 18001. Previously he worked as a Health and Safety Inspector for the Health and Safety Executive (HSE) the UK’s workplace health and safety Regulator. He has seen it all, from workplace inspections and accident investigations through to complex inquests and high profile crown court cases. During this time, he developed a wide range of operational, regulatory knowledge and experience in best practice solutions for proactive safety and occupational health management. Latterly, the Health and Social Care sector became his specialism and he worked for the HSE’s Health and Social Care Policy Unit implementing EU legislation, writing guidance, contributing to best practice standards and engaging with stakeholders across the UK. In his spare time Dan is a volunteer for the Maritime and Coastguard Agency as a Coastguard Rescue Officer.